Sea waves are globally considered an enormous renewable energy resource. Research institutions worldwide have completed analysis on wave energy resource as demand for electricity is expected to increase within the next twenty years while we are expected to reduce greenhouse gas emissions from electricity generation. According to reports, wave energy could provide a substantial part of global energy needs (US reports estimate that the total recoverable resource from the ocean is almost one third of the electricity used in the United States each year). Researchers and companies have been working on systems to convert sea waves into zero-emission energy but wave power can not be fully harnessed for many reasons as waves oscillate at varying frequencies and saltwater corrosion can cause much damage to wave energy converters. Typically, wave energy is captured using buoys which generate mechanical energy as they oscillate vertically from wave motion. The relative motion is used to drive electromechanical or hydraulic energy converters. 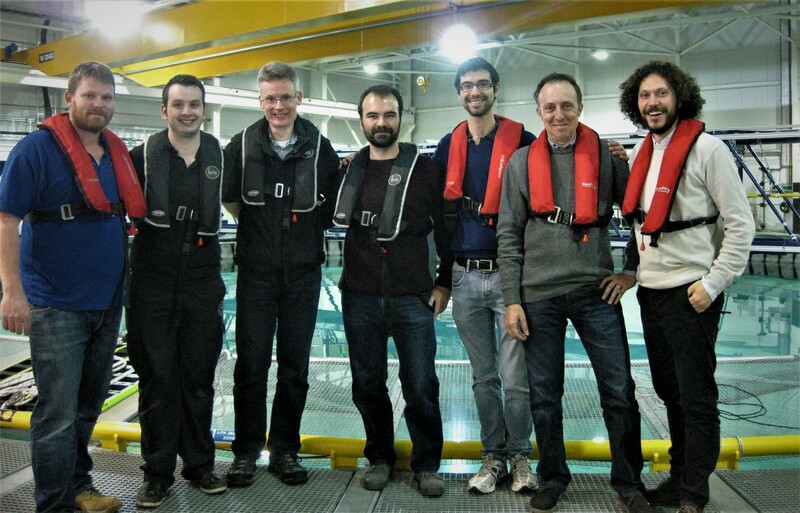 Sant’Anna School researchers have proposed a new class of electro-mechanical transducers called dielectric elastomer generators (DEGs) as an alternative technology in wave energy converters. The study was published in open access Journal Proceedings of the Royal Society (since 1660, the Royal Society, as an independent scientific academy, promote and supports excellence in science and encourages the development and use of science for the benefit of humanity). The Society has played a part in some of the most fundamental and life-changing discoveries in scientific history (i.e. quantum physics and electromagnetism) and now continues to make outstanding contributions to science in many research areas. Scientists and authors of the paper - Giacomo Moretti, Gastone Pietro Rosati Papini, Luca Daniele, David Forehand, David Ingram, Rocco Vertechy and Marco Fontana propose a modelling approach that relies on the combination of nonlinear potential-flow hydrodynamics and electro-hyperelastic theory. 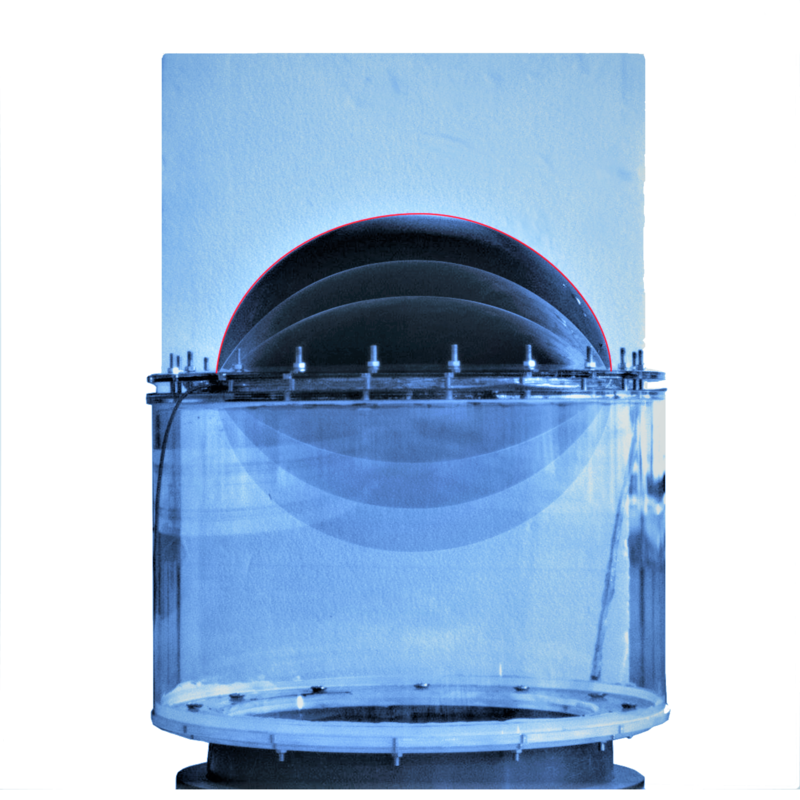 The model is validated through the design and test of a small-scale prototype, whose dynamics is tuned with waves at tank-scale to comply with Froude similarity laws. The results demonstrated the possibility of designing dielectric elastomer generator-based energy converter devices for large-scale electrical energy production. Dielectric elastomers (a kind of electroactive, elastic polymers) have been developed as generators to harvest energy from renewable sources. Because of their large deformation, high energy density, high conversion efficiency and low cost, these “smart” materials have significant potential for development in converting mechanical energy to electric energy with a clean energy source. The study was conducted in 2016 under the supervision of Rocco Vertenchy (University Alma Mater – Bologna) and Marco Fontana (University of Trento). Researchers Giacomo Moretti, Gastone Rosati Papini and Luca Daniele from Sant’Anna School TeCIP Perceptual Robotics Institute worked on projects PolyWEC and WetFeet. 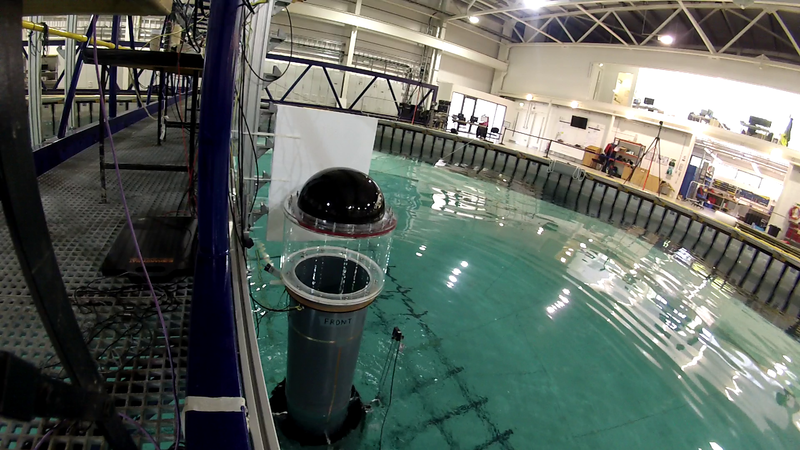 The innovative analysis in this paper and its promising results were attained also through the cooperation with the University of Edinburgh at the Flowave facility specifically conceived for innovative research into wave and tidal interactions and wave energy device testing.